The Immigration and Nationality Act provides permanent residency (EB-1 Extraordinary Ability) for aliens who have extraordinary abilities in their field and who are already in the O status. What is an O-1A visa? The O-1A visa is granted to individuals who have extraordinary abilities and are in the highest percentile of their field or profession. 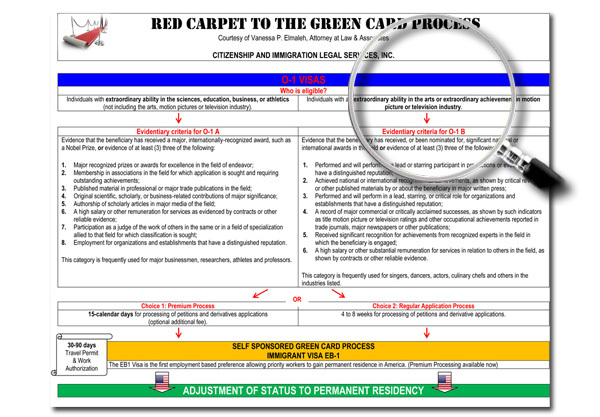 What requirements are needed to apply for an O-1A visa? The alien shall have "extraordinary ability in the sciences, arts, education, business or athletics which has been demonstrated by sustained national or international acclaim and whose achievements have been recognized in the field through extensive documentation". You can apply under this subcategory only if you are the absolute best in your field and are a member of the "small percentage who has risen to the very top of the field of endeavor”. The extraordinary ability subcategory does not require a job offer. What documentary evidence is required to apply for an O-1A visa? - Receipt of an internationally recognized award. - No labor certification is required. Consequently, aliens can petition for themselves without needing the assistance of an employer. However, the alien shall provide evidence he/she still works in the area of his/her specialty by submitting offer letters from potential employers. - If you are accomplished enough to have received a major, internationally, recognized award of such magnitude as the Nobel Peace Prize, this alone may qualify the alien for this subcategory. For example, an athlete can demonstrate his/her extraordinary ability by comparing himself/herself to others. A soccer player can show that he/she has longer playing time compared to the average soccer player. He/she can provide evidence that he/she gets paid more than the typical player. Inclusion of his/her statistics and those of the league average will help to demonstrate that he/she is a special player. Winning awards like Most Valuable Player also reflect his/her uniqueness as a player. - A very successfull businessman could also apply for an O-1A visa. - The alien shall prove that he/she is not the normal average individual in his/her field but he/she is unique in his/her field. The applicant shall show that he/she truly stands out among the crowd in his/her knowledge, skills, and talent. What is an O-1B visa? The O-1B visa is designed especially for artists who have outstanding abilities. Aliens who are artists, musicians, writers as well as actors or directors performing in theaters, television or films may qualify for the O-1B visa. This visa allows the artist’s agent to petition the artist rather than an employer because most artists are self-employed and are employed for a short period. What requirements are needed to apply for an O-1B visa? Receiving an Oscar, Emmy or Grammy Awards. Playing a leading role in performances. Receiving critical acclaim and recognition. The O-2 visa is designed for aliens who accompany an O-1 visa holder to assist him/her in a specific event or performance. 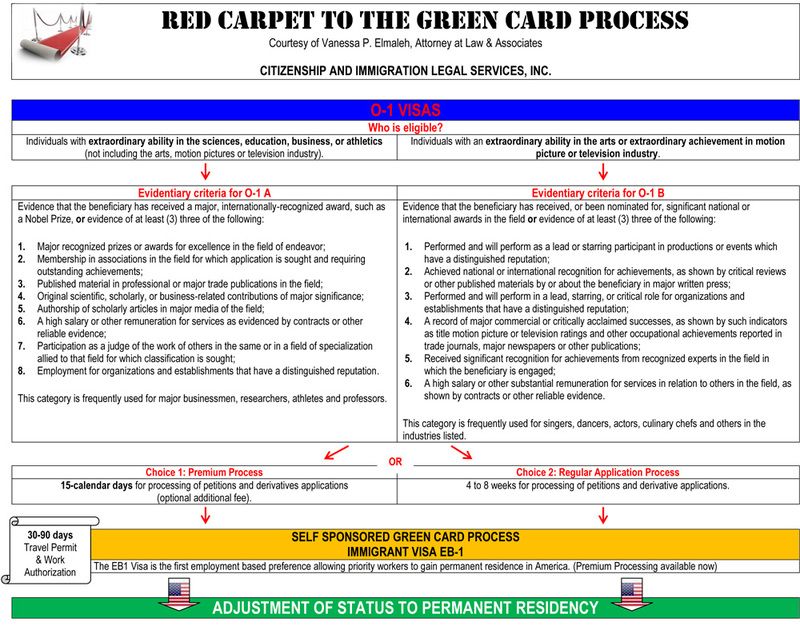 What requirements are needed to apply for an O-2 visa? The alien shall show that he/she performs support services which cannot be performed by a U.S. worker and which are essential for the successful performance of the O-1 visa holder. Spouses and children of O-1 visa holders who wish to accompany the principal visa holder are eligible for O-3 dependent visas.